Olympique Marseille and Atletico Madrid face off in the Europa League Final at 7:45 pm on Wednesday 16 May. Read the match predictions to find out why Atletico Madrid is the football betting tip to beat Marseilles at Groupama Stadium in Lyons. Marseille boss Rudi Garcia should have inspirational playmaker Dimitri Payet available after the French international missed Friday’s draw against Guingamp with a minor niggle. Central defender Rolando is struggling with a calf injury and Garcia must decide if Luiz Gustavo drops back or plays in midfield. Kostas Mitroglou is also doubtful with a thigh strain which means Valere Germain should retain his place up front. Atletico left-back Filipe Luis has made a speedy recovery but may not be able to oust young Lucas Hernandez who has excelled in his place. Sime Vrsaljko returns from suspension but manager Diego Simeone may stick with the experienced Juanfran at right back. Gabi and Thomas Party contend for a place in midfield and again, the manager may go for experience and choose Gabi. 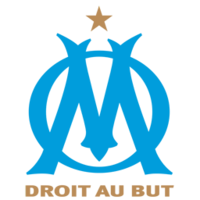 Marseille should enjoy a slight home advantage playing in Lyons but they’ve not had a great deal of success at Groupama Stadium in recent seasons where they last tasted victory in 2012. They lost 2-0 to Lyon at the venue earlier this season and their form away from the Velodrome in the Europa League has been poor. The Ligue 1 side beat Salzburg in extra time to qualify for the final and the second leg defeat was the only loss in the last nine games in all competitions. Marseille missed the chance to go third in the league when playing a 3-3 draw at home to Guingamp at the weekend. Atletico Madrid’s form has been patchy at times this season, especially on the road where they’ve lost three of the last seven in all competitions. Results have picked up of late and Simeone’s men come into this game on the back of three wins in the last four. Atletico have the big match experience having finished runners up in the Champions League in 2014 and 2016. 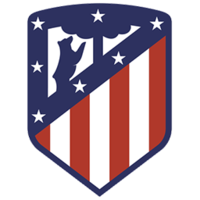 This should be the year that Diego Simeone lifts his first major European trophy as a manager and we predict Atletico to win by the narrowest margin. Marseille and Atletico Madrid met in the group stage of the 2008/09 Champions League, playing a 0-0 draw in Marseilles before Atletico won the return fixture 2-1. So far in the Europa League, Marseille have won nine, drawn four and lost five of 18 matches in the competition. They kept six clean sheets and failed to score seven times. Atletico Madrid have won six, drawn one and lost one of eight games, keeping four clean sheets and failing to score once. Compare match odds for Marseille vs Atletico Madrid. Select from the drop down menu to compare odds for Both Teams To Score, Over/Under and Half Time/Full Time markets. Get the best odds for Marseille vs Atletico Madrid and improve your betting results. Open a new account with online bookmakers and get free bets. Bet on Marseille vs Atletico Madrid and receive a free bet or get a free bet on Marseille vs Atletico Madrid.